EZ-Access ramp products are essential tools for successful navigation when using a wheelchair or scooter in the home or office. Individuals using wheelchairs are more mobile than ever, traveling and conducting business at full speed. Atlanta Home Modifications, LLC specializes in providing and installing scooter and wheelchair ramps for homes and businesses in the north Georgia and metropolitan Atlanta areas. Allow us to assist you in making your home, business or vehicle more accessible with an EZ-Access ramp. 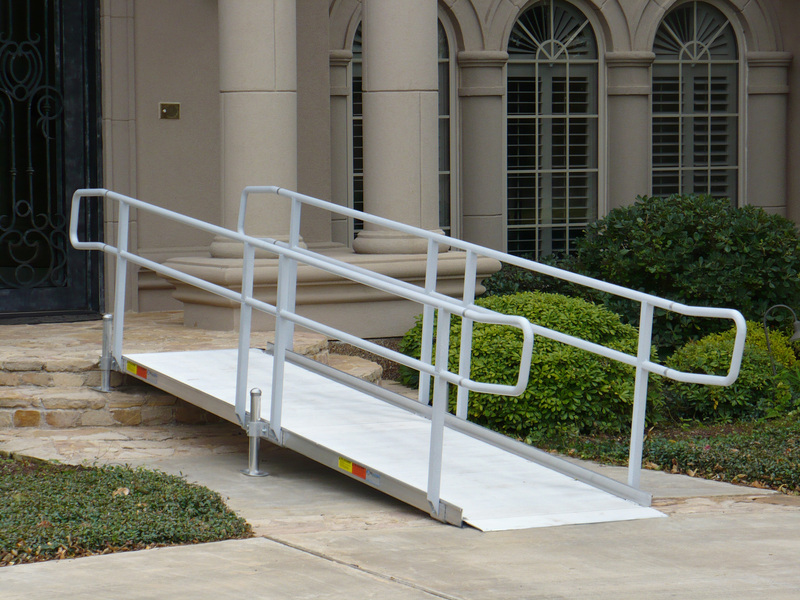 EZ-Access is an industry leader in providing portable, modular and van conversion ramps. The lightweight and adaptable EZ-Access portable ramp makes independence and accessibility easy for everyone. For home, business office, garage or other entrances requiring a more permanent access solution; consider the EZ-ACCESS Modular ramp systems. These ramps are larger and designed to accommodate higher rises at stairs or sloped terrain near entrances. The modular ramps are available for installation within days, and install in just a few hours. The EZ-Access modular ramp is a sturdy, yet flexible solution to most common accessibility challenges. Contact Atlanta Home Modifications, LLC at Info@AtlantaHomeMods.com or by telephone at 770.880.3405.